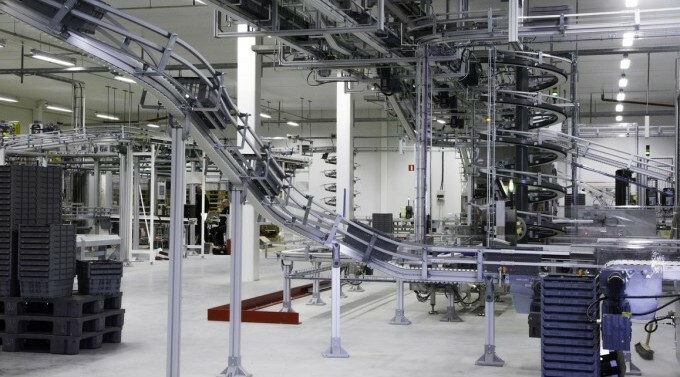 Conveyors in automated production flow solutions. In this third and last part of my article series I will share my final thoughts on advantages of industrial automation. If you haven’t read my previous articles yet you will find links to them at the end of this article. I hope you enjoy reading my series! Implementing automated production flow solutions is an efficient way of preventing operators from getting injured. Automated machines eliminate manual lifting and repetitive work for operators. Robots are also able to work in extreme environments such as areas of high noise levels, which reduces the risk of operators getting injured. 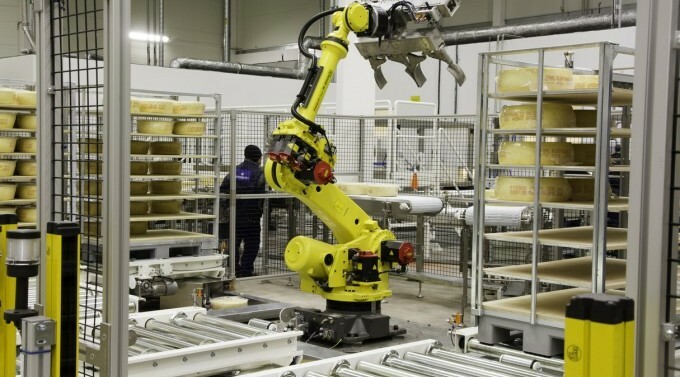 In addition, many automated production devices keep operators at a distance from more hazardous areas of work, contributing to keeping operators safe. With compact 3D layouts and elevated production flows, you reclaim valuable floor space. This enables you to add more production capacity or increase accessibility for your operators. Refined design and standardized interfaces to the up- and downstream production equipment make the automation solutions highly efficient. An incorrectly orientated, or dented product can cause severe stops or jams in the production flow, leading to capacity losses and increased waste. 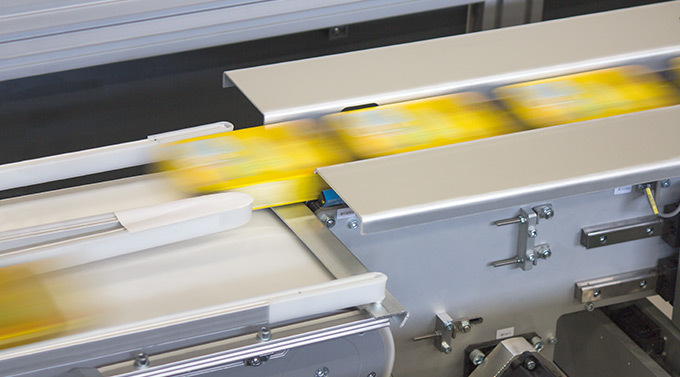 Automated production flows use different techniques such as tilting, pushing and rotating to orient the products carefully. The equipment is capable of both handle high-speed flows and achieve high levels of accuracy. Careful handling of the products at high capacity makes a significant impact to your production efficiency and reduces waste. Share your experiences of using industrial automation! 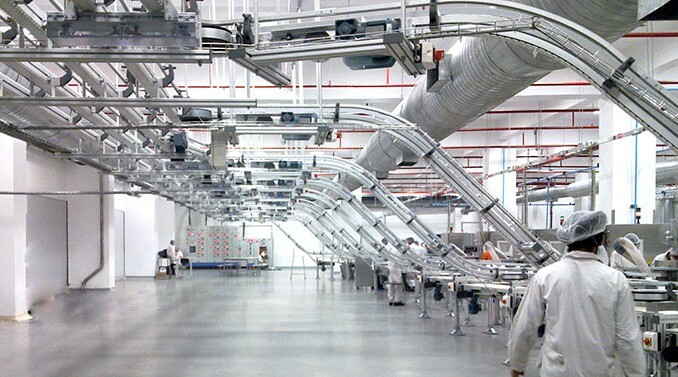 This was the last part of my three part article series where I have argued for a bunch of advantages of industrial automation – nine of them, altogether! 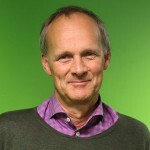 Now I wonder, what is your experience of using automated production flows? Perhaps you can think of advantages that I did not mention? Let me know in the comments! I am interested in your thoughts. If you have any questions or want to know more about line efficiency, don’t hesitate to contact me. Also visit FlexLink’s website for more information. Why is it important to monitor performance in production lines?